At Riverbend Family Dental Care, we believe that kids should begin their oral health journeys as early as possible! We offer dental services for all children in Edmonton. We believe kids should see the dentist by age 2. Our dentists believe oral health is linked to overall health. Starting your children's dental treatment early can help keep them healthy and smiling! Your child's first visit to our office is the most important one. This will be the time for us to establish trust and understanding. Kids should feel comfortable and safe so that they have that same comfort level for all of their future visits. We teach your child to be comfortable by explaining things in fun and exciting ways, and always in terms that are age-appropriate. This visit also presents an opportunity to discuss a preventive program that can start your child on the road to a cavity-free life and to answer any oral health questions you may have. We work with children to ensure they understand what happens at the dentist. 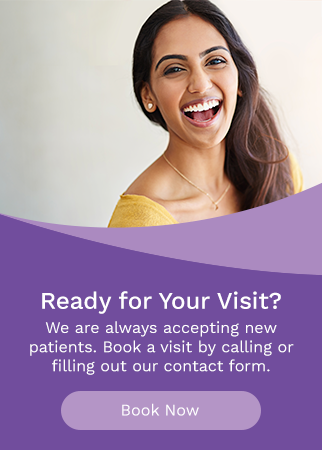 If you're looking for a family-friendly dental team, book an appointment with us today! At Riverbend Family Dental Care, it's mission is to provide our patients with exceptional dental care, and develop friendly, long-lasting professional relationships.